Photo: Evertt Golson rolls out as Notre Dame's quarterback. Florida State’s quarterback heir-apparent identified Sean Maguire last season and throughout spring drills. 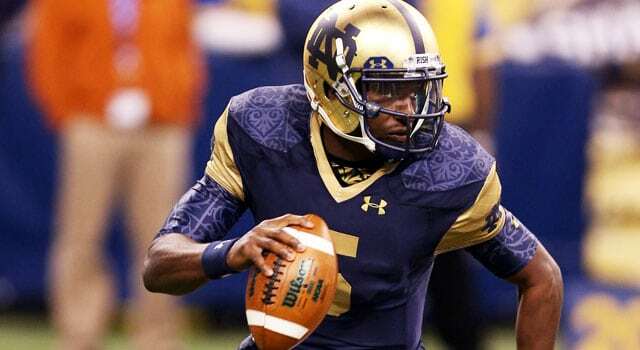 That is, until Notre Dame transfer Everett Golson showed up on Florida State’s doorstep in mid-May. Click here for the rest of my Todaysu.com story on Florida State's quarterback battle between Notre Dame transfer Everett Golson and returning redshirt junior Sean Maguire.